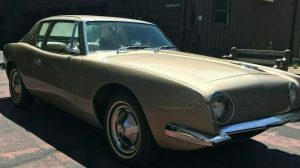 When a vehicle comes up for sale on eBay, it is usually pretty easy to tell how desirable it is by checking to see how many people are watching the listing. 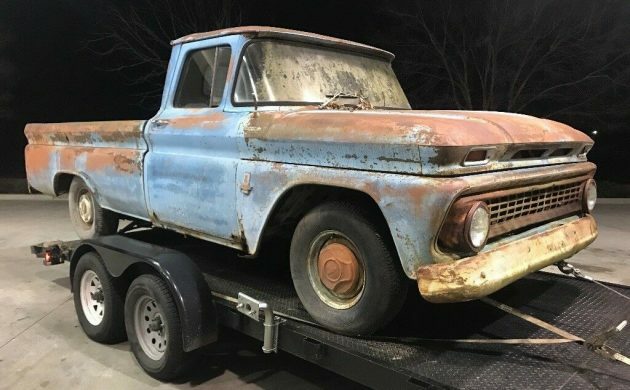 With this 1963 Chevrolet C10, there are currently 24 people watching it, which is a fair indication that these old war horses have remained pretty popular. 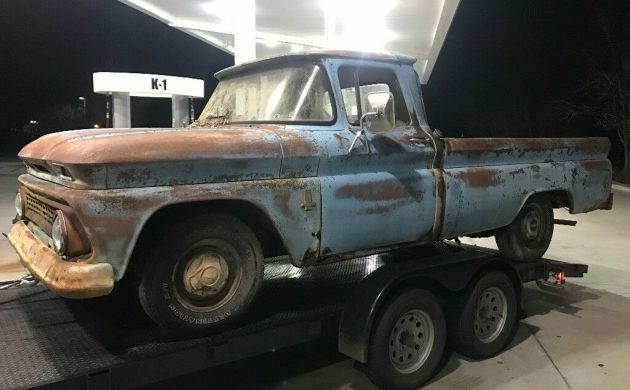 This particular C10 is located in Brunswick, Georgia, and is listed for sale here on eBay. From the description supplied by the owner, this old pickup is pretty solid. The frames on these are not particularly susceptible to rust issues, so it would be fair to assume that the frame is solid. There is some rust visible in the lower areas of the fenders, and some in the lower corners of the doors. It is hard to be completely sure, but it does look like the rockers might be clean. Rust can appear in the bottom corners of the cab and in the floors, but this is quite easy to fix. The C10 also has the inevitable small dings and dents that are to be expected on a commercial vehicle of this age. The glass all appears to be present and in good condition, while all of the external trim is present, and its condition is in keeping with the rest of the vehicle’s body. The standard engine for a 1963 C10 was the 230ci straight-six, with a 292 six available as an option. Also available was the 283ci V8, and that’s the engine that is fitted to this pickup. The transmission is a 3-speed manual with a floor shift. Apparently, the vehicle doesn’t run, but the owner says that the engine turns freely. 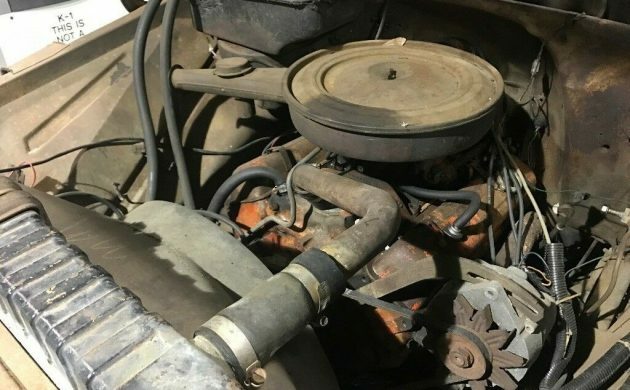 The 1963 model year also saw some changes to the front suspension of the C10, with the torsion bar suspension making way for coil springs, which made the vehicle ride and handle significantly better. The interior of the C10 isn’t stunning, but it is certainly serviceable. There are a few minor items such as window winders missing, but it looks to be complete. There are a couple of tears in the seat, and the new owner may choose to either replace the cover or to just throw a blanket over the seat. There are a few cracks in the wheel, and I would either replace it or fit a wrap, purely as a comfort measure. 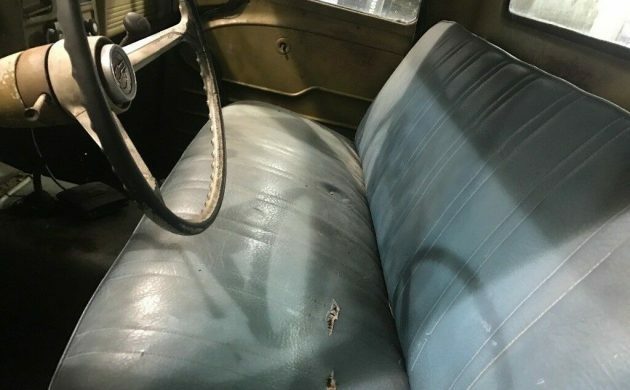 Otherwise, unless you were undertaking a full restoration of the vehicle, the interior could be left as it is. This 1963 C10 has a great look to it, and it will be interesting to see what the next owner chooses to do with it. 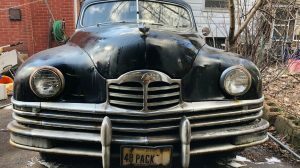 They may choose the path of a complete restoration, they may choose to use it as the base for a rat rod project, or they may choose to scrub it down and give it a coat of clear to protect its current appearance. 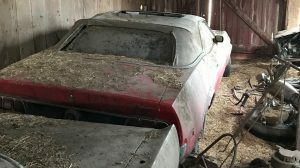 The owner has set a BIN price of $3,500, but the option is there to make an offer. At that price, it certainly does appear to be a fairly cheap project vehicle. The engine, at least the top end, is newer than 1963. Air cleaner, rocker arm covers with PCV valve and oil fill, intake and heads are 1969 or later. The first owners probably put in a newer engine and kept the original brackets and accessories. The longshot is the block (only) is still the original. From the one lone engine picture, the safe money is on a whole different engine , a 350? Could be a 305 or 307. Definitely a transplant from a newer era. I’m guessing a run-of-the-mill 350 because they are everywhere. The original engine would have the oil filler up at an angle from the intake beside the thermostat housing. 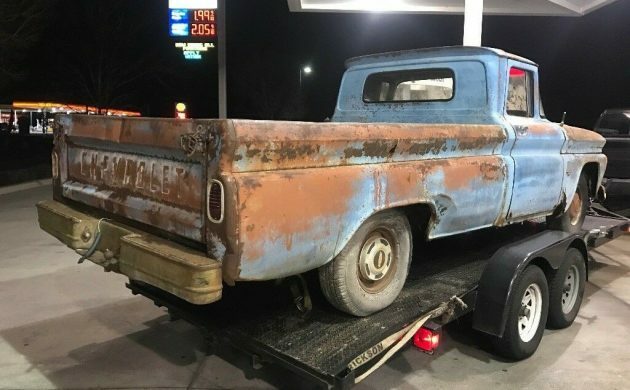 Chevy truck engines weren’t painted orange until ’67. Chevy blue (not to be mistaken for GM Corporate Blue that came out in ’77), or in some instances in light duty trucks, gray (but I think that was in ’65 and ’66). I’m with geomechs on the engine. Parts for the 350 can be sourced from anyplace from a mom & pop establishment to the big chain stores and for next to nothing. I wouldn’t expect an old work truck like this to have the original engine. The 63 c10 is by far the best looking year of this gen,last year for the panoramic windshield and this year’s face has a ‘sad’ look to it in a cute way. It looks surprisingly intact for a work truck,the clear coat would be the way to go unless body has severe issues. 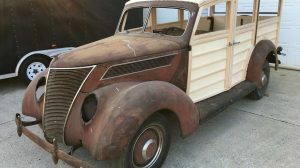 I think this could be turned into a sweet little truck without breaking the bank! Some plausible prices coming through lately. Maybe sellers are finally realizing these aren’t $20,000 trucks. When I met my wife her dad had one of these with a big 6 and a 4 speed. My wife’s brother and I took it to a guys house to take a tree down for him. He lived in the country and his driveway went down a valley to his house. We loaded that truck bed with wood so rounded over we had to strap it down so it would roll off cornering. In granny gear that truck idled up the driveway to the highway without a hiccup. I’m a Ford truck guy and my father inlaw is a Dodge guy but that Chevy was a workhorse. Those white hubcaps ALWAYS seemed to rust prematurely.